Why Choose the Pharmacy Technician Program? 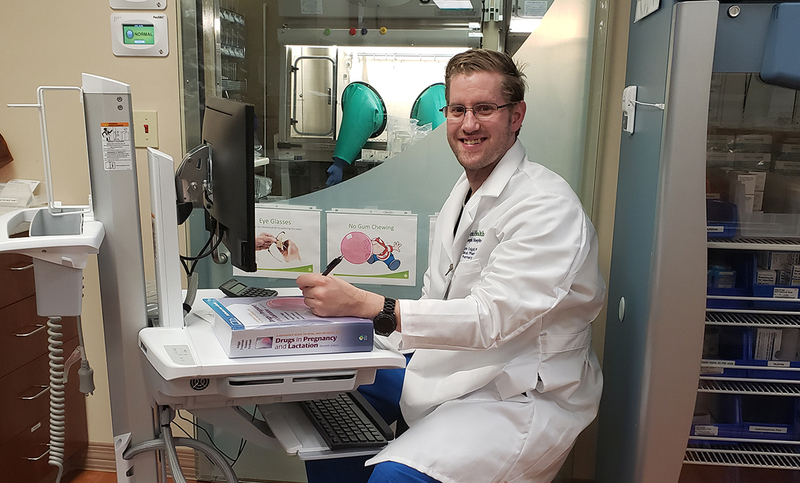 Pharmacy technicians play a vital role in the health care process, ordering and stocking medications, preparing intravenous drugs, processing prescriptions, preparing billing and operating and troubleshooting automated drug-dispensing systems. In fact, as pharmacists are starting to move more into the clinical aspect, pharmacy technicians are taking on more and more responsibility. Our Pharmacy Technician program offers hands-on training in the classroom and laboratory and three months of on-the-job training. This gives graduates a great head start in getting their foot in the door and the training they need to be ready for their career. Employers look for graduates who have trained in the technician duties and responsibilities under the guidelines of the American Society of Health-System Pharmacists and the Accreditation Council for Pharmacy Education, which govern the curriculum and standards of our program. Career options include working in retail pharmacies, hospital pharmacies, long-term care, jails, and compounding pharmacies. If you have an interest in medicine and a great attention to detail, this program and career path might be the perfect fit for you. Our Pharmacy Technician program can prepare you for a rewarding career assisting pharmacists in hospitals, clinics, long-term care and community pharmacies. Compare and analyze the different aspects of pharmacy to determine career choices. Prioritize work assignments and use time management skills effectively. Communicate effectively with other healthcare professionals and customers. Maintain conduct in a manner appropriate to pharmacy standards in compliance with state and federal laws. Pass the National Pharmacy Technician Certification exam. Apply knowledge of pharmacology and generic drug names to select appropriate medication from available inventory. Demonstrate 100% accuracy in calculations and choosing correct products for IV admixture. Demonstrate effective and accurate multitasking skills. Apply problem-solving and decision-making skills to resolve customer concerns, questions, and complaints. Work collaboratively as a team member in the work environment. Maintain and use the appropriate technological tools and applications (hardware and software) necessary for the management of the pharmacy. Trisha graduated from an ASHP accredited program in 1995 and has worked as a pharmacy technician in a hospital, a retail setting and a nursing home. 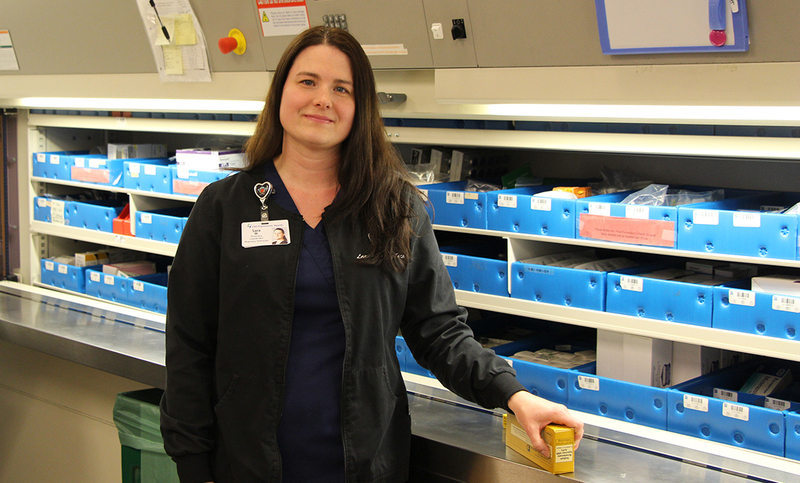 She's been an instructor in CPTC's Pharmacy Technician Program since 2000. Pharmacy Technician Program Information Sessions are hosted in Building 21, Room 226, at 3 p.m. on the second and fourth Wednesdays of the month. For more information and a complete schedule of session dates, click here. A lot has changed in Clover Park Technical College’s Pharmacy Technician program over the last 15 years, but one thing that hasn’t is the dedication of the instructors to providing the best opportunities for their students. That was Sara’s experience when she finished the program with three job offers waiting for her. School had never been a strength for Craighill, who left high school and earned his GED and hadn’t considered going back to school for five years. After he was in a serious car accident that required several days in the intensive care unit and months of physical therapy rehab, he decided it was time to go for it. 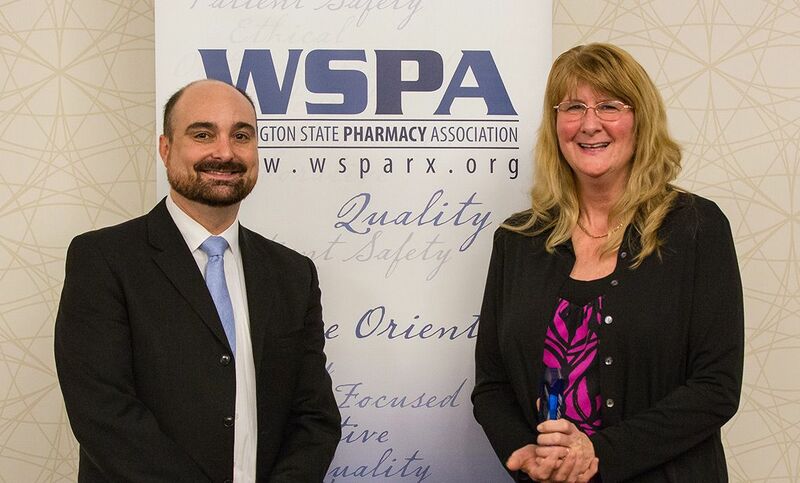 Congratulations to Pharmacy Technician Instructor Maureen Sparks, who was named Outstanding Pharmacy Technician of the Year by the Washington State Pharmacy Association.